Kosice, April 11 (TASR) – Unsuccessful presidential candidate Stefan Harabin has also lodged a complaint with the Constitutional Court following the run-off round of the presidential election, TASR learnt on Thursday. Harabin stated the same reasons as those named after the first round. When filing the complaint, he claimed that the presidential election in March wasn’t held in a constitutional and lawful fashion and that it should be annulled and repeated. According to Harabin, Zuzana Caputova, the winner of the presidential election, bypassed the law in financing her election campaign and also did so by acquiring direct support from another candidate Robert Mistrik, who withdrew before the election, and third parties. The Constitutional Court will deal with Harabin’s complaints after its number of judges is increased, as it’s still non-functional due to a lack of judges. The deadline for submitting complaints concerning the presidential election expired on Wednesday (April 10). 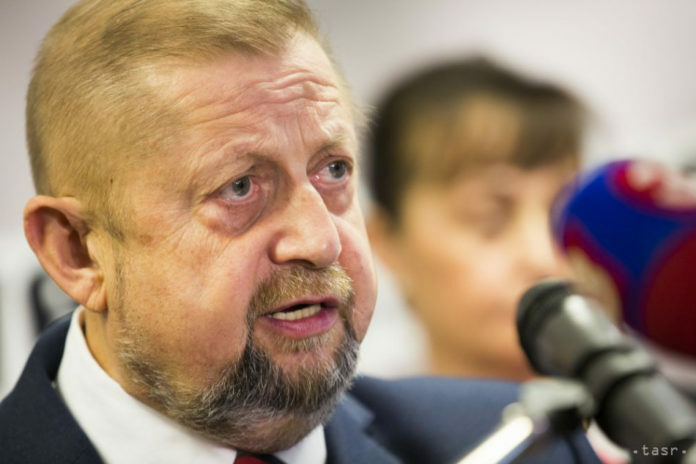 „To date, the Constitutional Court has received five complaints concerning the election of the Slovak president,“ said Constitutional Court Judge Jana Baricova, who is performing the tasks of the Constitutional Court president. Zuzana Caputova won the second round of the presidential election on March 30, gaining 58.4-percent support, ahead of Maros Sefcovic, who was backed by 41.59 percent of the voters. In the first round of the election on March 16, Caputova and Sefcovic were followed by Harabin on 14.34 percent of the vote.